Septic Tank Cleaning & Repair Specialists Miami, Florida. Licensed & Insured. Is your septic tank in need of a repair? A Better Aim Septic can help. If you are having a problem with your current septic tank, one of our specialists can be there quickly. Just give us a call and we’ll send someone to assess the situation. Once there, we’ll be able to identify any problems, and have it fixed as soon as possible. Our technicians respect your time. You can count on us to ensure your septic tank is fixed fast. Some of the most common signs that you might need septic tank repair include odors coming from the ground near the tank, bubbling or gurgling sounds, and slow-moving drains. 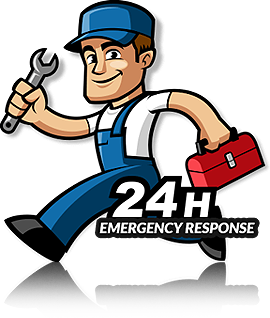 If you notice a bigger issue, such as sewage or liquid backing up in drains and coming back up through floor drains, sinks, and/or toilets, be sure to give us a call right away. Sewage can pose a significant health risk, so if it comes into your home, you often have to replace flooring, walls, and other aspects of the structure. Keeping your septic tank cleaned and fresh is important. Without proper maintenance, you could run into severe problems down the road. That’s where we come in. Our staff can help you attain regular checkups and examinations. We also offer great tips and advice on how you can maintain a septic tank. We can teach you how to use water efficiently as well as properly dispose of waste. Our team will make things simple and easy to understand.